Forget Lawrencing - it's all about the JLaw photobomb. She photobombed Haymitch with a zombie. And surprised Finnick on his horse. She ran from a brunette Peeta. But made friends with him again as a blonde. She photobombed the Oompa Loompas. And got a shock from Miley's sledgehammer. She teamed up with Captain Jack. Then traveled with The Beatles. 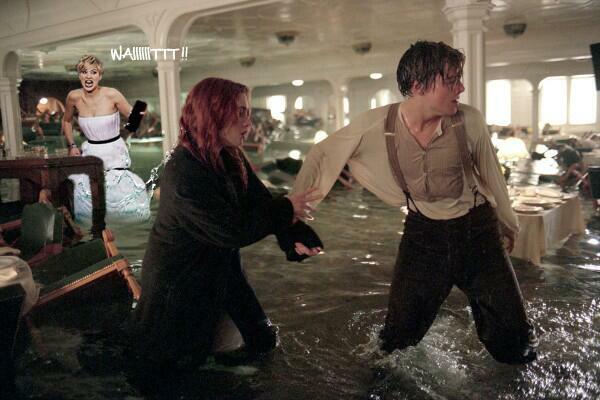 Got stuck on the Titanic. And revealed what she was really after all along.